Every year Dr. Merrow and his family run the Pittsburgh Marathon. For the first time Dr. Merrow wants to run the marathon for a cause. We have chosen the Children’s Hospital of Pittsburgh Foundation. The reason we have chosen this foundation is because our family has been blessed with healthy children and could not imagine how difficult our lives may or could be. If you would like to donate simple click the link above or below. Any amount would be greatly appreciated. 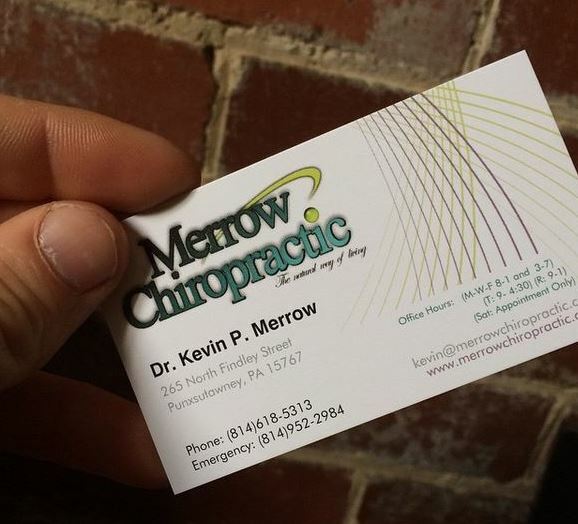 Dr. Merrow donated his race fee’s for the 2016 marathon, and of course his 13 miles of torture :).